Or not! 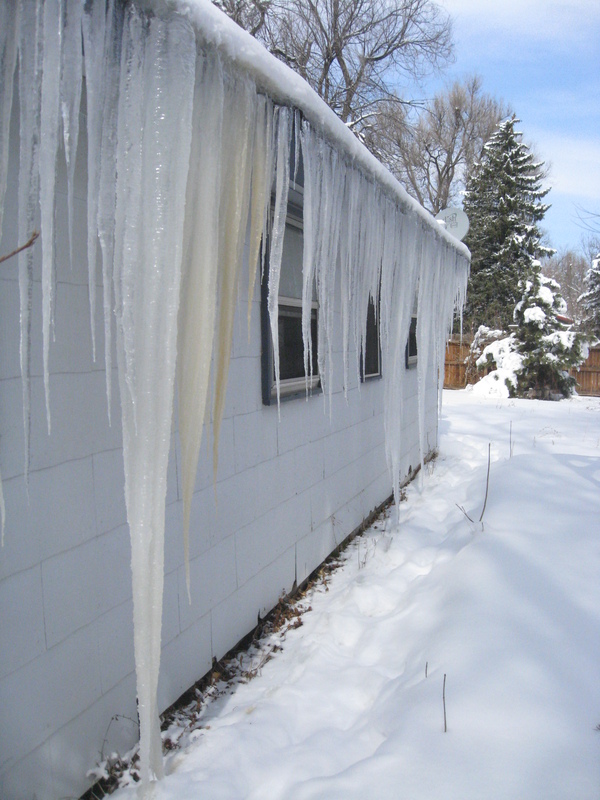 I think “not” if the icicles are reaching from the gutter to the ground. Once, the winter after we moved into the Bungalow, Kelsea took one of her Spanish swords to the icicles, much to her satisfaction. It did seem like a good idea, but I then discovered that they must have served a purpose, as I had a leak in the bedroom window frame for weeks afterwards. Therefore, these icicles will be staying put until they decide that spring is here. I’ve been watching the neighbors icicles; they’re still a couple of feet from the ground. I don’t think they’ll touch this year, but they’re fun to watch, nonetheless! Those icicles are wild. This winter has me convinced it is worth the cost of a trip to someplace warm even if it is for just a few days.